[Reproduced from pijitailaiX] Do Internet and social media create social division as claimed by PM Lee? Nevertheless, learning and sharing do need diversification. Perhaps, he is still in the mode of hierarchical learning and sharing. People learn best when there are fewer or no mental and physical restrictions, especially in country like Singapore. My mode of learning shows that I am at the Distributed Individual Quadrant#0. When I first enroll in this course, I just want to learn to be a good learner not leader. I am a motivated learner and have never thought of a leadership role in learning. What can I share and initiate changes in learning? This is in particular that I am not living in a western environment that 'political right' plays less influencing role in sharing and learning. Singapore is a country that practices market economy and capitalist system. However, when we come to learning, political right and wrong will make a huge difference. If you are at the wrong side, it is hard to share your knowledge not to mention becoming the promoter of your knowledge. Even Yale University has to adjust her academic freedom in Singapore. Hence, the human factors of physical, cognitive, social, cultural and emotional experiences are very different from the standard GSE2x Leaders of Learning. How can I design a learning environment in Singapore where restrictions and limitations are the fact of life? My Quadrant is a digital world. The ideal environment is of course an environment of free expression. Without this pre-condition, sharing and learning will not reach their full potential. There is no restriction on MOOC learning in Singapore. Facebook and other internet uses are also free. But one will have to be careful about his or her comments as there is a culture of defamation suits#2 in Singapore. Nevertheless, if I were to engage in Leaders of Learning activities in Singapore, the ideal environment is to expand the horizon to other quadrants. Physical: To encourage face to face sharing and learning, ideally, we can expand and share the digital experience and knowledge to physical environment. Some publics places, for example, museums, libraries or community clubs are suitable environments. However, to overcome the obstacles, the leaders of learning will need to solve the political right and wrong issues first. The government will not allow citizens to promote ideas, thoughts, learning experience and knowledge different from their standard mode of learning and national agenda. Physical expansion to Hierarchical Individual and Collective environment is very difficult. It is an ideal expansion but not feasible in Singapore. Alternatively, the expansion to Distributive Collective is much easier and can be achieved by joining a network or digital community. match the local situation, like the case of Yale-NUS College or we have to improve the political environment to create more free spaces for sharing and learning. Social: How do people interact? Due to the restrictions on public space uses, learning and sharing is a one way traffic. Public facilities, schools and communities are out of bounds to people who hold alternative views and experience. There are few exchanges and interaction between the so-called 'political right' and 'political wrong'. However, as the digital world is a free world, we see more interactions in the social media rather than in the rigid mainstream media of broadcasting and printed media. If social media, digital education is the future trend, then the political development will have to follow this evolution of learning experience. Cultural: The social factor affect the cultural factor and behaviours. We are now experience a low public trust#3 and divided Singapore. The rapid economic (high growth, rich-poor gap) and social changes (big inflow of foreigners) have made the once (or developing) shared norms, habits and values unsustainable. 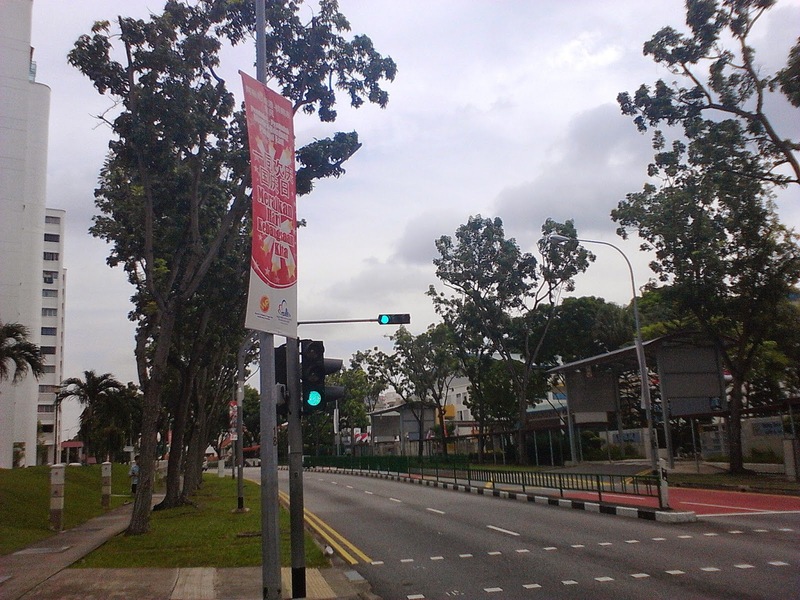 One example is fewer public flats are flying Singapore flags during national day#4. How can learning play a role in promoting a social norm? The government is engaging in a national SG Conversation#5 but more people in the social media and digital world see it as a propaganda. Emotional: The social divide and cultural divide have created different emotional experience for Singaporeans. If you are in the so-called 'political right', your feelings and thoughts of the future Singapore will be very different from those of 'political wrong'. The current state of learning and sharing environment is not conducive in Singapore. We have seen more protests either legally held at the Speakers' Corner or illegal vandalism like graffiti. Without political changes, the ideal environment for learning and sharing of knowledge will not take place in Singapore. In fact, in the longer term, a restricted and control environment presenting only one-side learning experience will do more harm to Singapore, economic growth and competitiveness included. In a speech in the Federal Parliament on 27 May 1965, just before Singapore’s independence, Singapore first prime minister made the above speech and championed for a Malaysian Malaysia. Looking back in history, have we narrowed the concept of the failed Malaysian Malaysia into a Singaporean Singapore? Have we ever traded in people’s miseries? 49 years later, we are still discussing the problems of miseries and happiness. We still try to find an answer for CPF retirement, health care, housing, education and services to the people despite our huge economic achievement. We are a first world country in search for a satisfactory balance between miseries and happiness. National Day Rally 2014 proves that after more than 50 years of hard work, our mission of nation building and the promise of better life is still a long shot. In fact, it looks more like an impossible mission as the government is still talking about basic CPF problems, education and services to the people. From the first prime minister to the third prime minister, CPF despite becoming bigger and bigger still remains an unsatisfactory answer for retirement, medical care and housing. Despite more education opportunities, better international university ranking, and advanced technology for civil service, the PAP government is still in the dilemma of balancing people’s miseries and happiness. Why? Are there any statistics comparing the miseries and happiness then and now? The second prime minister did not answer the question directly. However, he confirmed the issue of miseries and happiness and worried about the gap between the people and the PAP. [Loosening ties between people and government could pull Singapore apart unless Singaporeans demand as much of themselves as they do of the Government, Emeritus Senior Minister Goh Chok Tong warned on Saturday. ESM Goh seems to link the miseries to unrealistic demands and frequent criticism. On the contrary, happy people have realistic demands and praise the PAP government. In his Mandarin speech, PM Lee sang a bit of the famous Xinyao song ‘small stream that flows forever’. There is a business and management practice of controlling the market. If you solve the problems or provide the best solutions in one go, you end up making less profit. This is why a good product like Apple can continue to make profit after Apple 3, 4, 4S, 5…. or Microsoft after her many series of Windows. Perhaps, the PAP is thinking the same way as they are a good brand and offer a good product. Solving problems in one go will not maximize their election winning opportunities. By tactically positions the miseries and happiness, they can profit from the imbalance. So, the PAP wants to keep the small stream flowing forever. In this case, the PAP is trading people’s miseries as well as people’s happiness. We cannot deny there are people really happy about the PAP’s policies of CPF, housing and education. Some are really happy as they can take away all their CPF money, capital gains from housing and education if they quite Singapore at the right time right place. A stream, a trade-off, a business to trade miseries and happiness always exists under the PAP government. They are happily manipulating and controlling the situation. They think they can forever make the stream bigger (up the minimum sum) or smaller (small lump-sum withdrawal), simple (Medisave) or complicated (Medishield) , decentralise (e.g town councils) or centralise (new municipal services). In NDR 2014, the PAP government is honouring pioneer generation, honouring the first president of the Republic, relaxing the CPF lump-sum withdrawal and increasing the minimum sum, even shifting cultural values. This looks more like a business deal. Are they trading people’s miseries and happiness for a truly Singaporean Singapore? To stop the trading between miseries and happiness, power to the people is the answer. Honouring our pioneers, returning the basic concept of CPF, and Singaporean culture are not tradable. Long before our independence, we know these are non-tradable. However, when Singapore concentrates more and more on economic growth, the PAP maximizes, rather than minimizes, the difference between people’s miseries and happiness. Trading people’s miseries and happiness has become the business of the PAP. By making the business problems into a stream, the PAP wants to capitalise it forever. Can a Singaporean Singapore stop them? In many ways, Singapore Airlines has the same management philosophy of the PAP government. SIA is the image of Singapore that the PAP government wants to show to the world. Indirectly, it is a mini PAP as the major shareholder of SIA is Singapore government through Temasek Holdings. SIA is a symbol of Singapore. It represents the quality of Singapore in a competitive international airlines market. It is a listed company subject to quality check of internal and external auditors. However, it still made a silly public relationship mistake on the issue of flying over the Ukraine airspace. Parliament was told that ‘SIA plane (was) about 90 km from MH17 when it was shot down’.#1 In another report, we know ‘SIA used same MH17 flight path 75 times in past week’. #2 It seems there is a quality control problem at SIA. How come a company statement can be issued without proper checking? Or is the statement used to cover up a bigger potential mistake and lie? We don’t know as SIA only says sorry for the insensitive remark. Few international corporations or organisation will issue statements without proper internal check and balance. The problem is not whether SIA plane was 25 or 90 km from MH17 as explained by the Transport Minister in Parliament. It is a question of whether SIA did fly over Ukraine airspace or not. It is also a question of ethics: taking advantage of the situation and telling a lie. So, SIA with her good reputation, always providing good quality products and services, still can make silly mistake and not telling the truth, same things can happen to the government, CPF, Temasek and GIC. We cannot rule out the possibility just like we cannot imagine SIA would issue insensitive remark on MH 17. The government has explained that Temasek and GIC are subjected to very strict auditing and they even have top rating from international credit agencies. In fact, SIA too is (more so as they need to publish quarterly report) having even more stringent controls and supervisions under SGX. Investors can buy and sell SIA shares in open market. Public confidence and investors’ confidence are extremely important to SIA. Anyway, a silly mistake has already been made. A truth has been discovered. It proves that everyone of us can make silly mistake. But how we tackle and solve the problem, correct the mistake and gain back public confidence is a question of wisdom and honesty. Without transparency, the government always maintains there is high standard of governance in Temasek and GIC as well the management of reserve. They believe public trust is still with them and a ‘sorry’ (for the insensitive) statement like the one put up in SIA Facebook will be sufficient. The sorry can gain back public confidence. Perhaps the PAP is right. What if they are wrong and public trust is indeed much lower than 10 years ago? WHO IS TO DEFEND THE 10M POPULATION IN SINGAPORE? This question looks remote. Then how about who are the defenders of the more than 5 million people in Singapore? The automatic and natural answer is the national service personnels, and in a more inclusive way, all under the Total Defence. There is no official denial of the 10 million population. It looks like the PAP-led Singapore is getting serious to be a future super city. With a weak or softening property market, it seems to be a good idea to come out with this suggestion. It will help to push or sustain the property price and stabilize the market. We currently have more than 5.3 million residents in Singapore. Of which, more than 1 million are foreign workers and maids. When the population reaches 10 million, we will have 2 million foreign workers and maids. However, citizens serving the National Service is not expected to increase due to low birth rate. The citizen army of NSmen will then have to protect 10 million population as well as a bigger economy, several times larger than the current size. This, of course, is a happy picture if the projection is correct: bigger population, bigger economy, and higher GNP per capita (but necessary a fairer distribution of income). With such a richness and wealth, who is going to protect Singapore? Foreign talents, foreign workers or maids? Foreign talents can find opportunities elsewhere. Perhaps, foreign workers and maids will have less choice, either to return to their home countries or move to other places. What if they decide to fight along side with Singaporeans against foreign invasions, will we grant them and reward them with a citizenship for their sacrifice? It is easy to increase population by just importing foreigners. Not only for Singapore, people from lower income countries or developing economies are willing to risk their lives to find ways to go to USA, Europe and Australia. If USA is to announce a free entry of 10 million people from any place in world, it can easily reach this target within a few days provided logistics and transportation problem can be solved. The harder question is who is going to protect Singapore in time of crisis. Who is going to protect the USA, Europe and Australia? Imported foreigners? In the total defence concept, economic defence is just one of the five pillars. As explained above, the military defence, even equipped with modern weaponry, is not capable to defend a population of 10 million, perhaps not even 6.9 million. In addition, in a state of low public trust and divided Singapore, it is equally challenging to maintain a high level of readiness for civil defence, social defence and psychological defence. What can the PAP promise or assure Singaporeans a bright future with this constraint and without transparency and accountability? Social media and opposition politics have enlightened Singaporeans. Singaporeans now demands more information, open debates, and don’t believe ‘the PAP is always right’. Even if there is no objection of the Total Defence concept, people will question the rational, the connections, and the effects of the increased population. Psychologically, socially, politically and economically are we ready for a 6.9 or 10 million population even if this is a so-called long-term planning? When the Total Defence 2014 Short Film - “Hands” (see below) was released on 1 February 2014, did they have the total population in mind? Is the video projecting a scenario of 6.9 or 10 million population? Fewer than 9000 people watch this video as at 4 August 2014, what does it mean? Who are we defending in a Singapore of 10 million people? When about half of the population are not Singapore citizens, how do we define ‘our home’? We really need a re-framing, re-definition of Singapore, our home? We will have to re-examine the Total Defence in a wider and broader way too. What is the meaning of 'every Singaporean' in a future city of 10 million people? Will there still be a PAP government in future where this Total Defence is based?